Rame held another great Tribute Event on Saturday and in spite of the event falling in the middle of school summer holidays, FMPGC were very well represented with Ladies A, Ladies B, Ladies C, Mens A, Mens B and Mens Vets – a much greater club presence than at Rame the previous year which was really good to see. Mens A raced in the very first heat of the day and finished 11th in their heat and 18th overall – Jowan stroked Mens A for the first time in a race and did a brilliant job and thanks to Paul who rowed number 2 for Tim Bowden who was unfortunately held-up in traffic up-country. Mens B were up next and were classed as a composite crew as Al and Paddy rowed again with Tommy, Jordan, Ron and Barry – a strong row by all and they finished 19th. Ladies A were in the 3rd heat of their class along with Roseland, Caradon and Falmouth, Roseland and Caradon flew off the start but we kept in touch with Falmouth until the last turn when they pulled away and finished about 3 lengths ahead. LA finished 4th in their heat and 20th overall. Ladies B made it to the start just in time after a misunderstanding by yours truly! 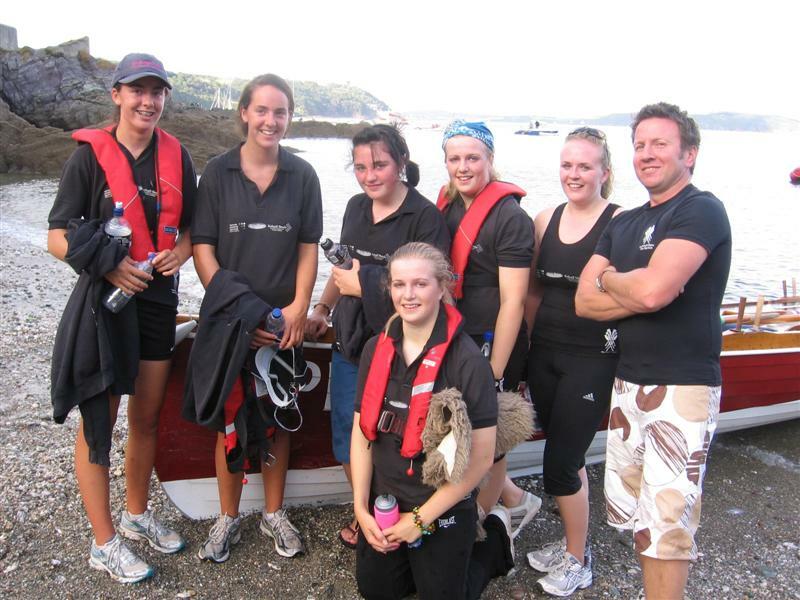 and had a great strong race and finished 14th overall – thanks to Emilie for rowing again. Mens Vets with Barry, Neil, Andy, Mark, Paul, Ron had a fantastic race and finished 2nd, close on the heels of Mounts Bay. They even got a cup whereas Mounts Bay didn’t !! Thank-you to everyone who stayed to get the boat onto the trailer at the end of the day and especially to Bridget for towing and negotiating the tricky manoeuvers required at Rame.